For the purpose of this post, the rice will be cooked on a stove. 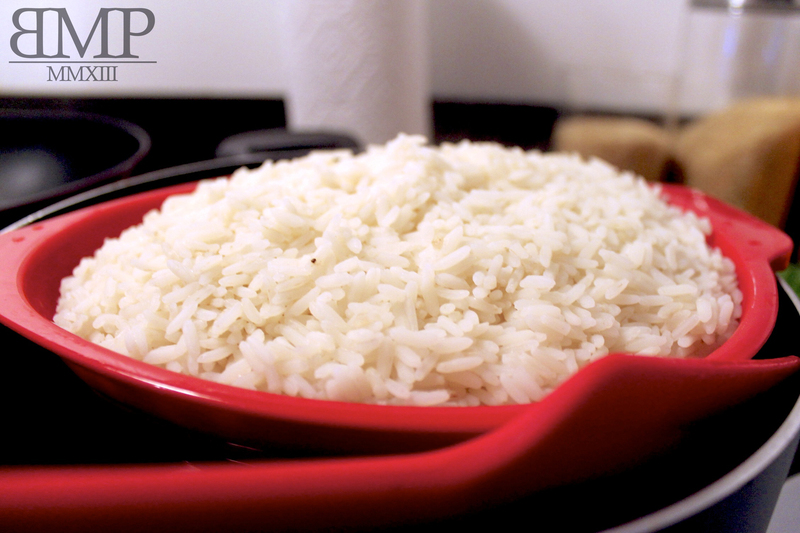 In a bowl, wash and rinse out the rice several times to remove excess starch on the surface then drain in a colander. In a medium sized pot, add the rice to 2 cups of water and bring to a boil over medium to high heat. Before it’s fully cooked, drain in colander. Wash, rinse and drain the rice out in a colander again. In the same pot, add the parboiled rice to the remaining 2 cups of water and salt. Boil until rice is properly cooked. Be careful not to overcook the rice. Drain out excess water, if any. Your white rice is fully cooked and ready to be served with any side of your choice. This entry was tagged boil, cook, Cuisine, Food, Kitchen, rice, white rice. Bookmark the permalink.